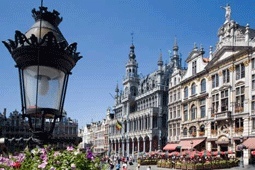 Brussels is a small but thriving city, with a multicultural population. Its past and present live side by side like an architectural odd couple. 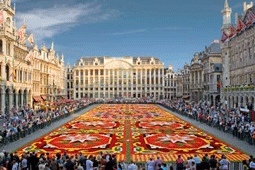 Languages and cultures reflecting its imperial past and current place at the heart of Europe meet in a dizzying array of bars and restaurants, making eating out in Brussels a gastronomic delight. It is impossible to visit the city and not see the awe-inspiring Grande Place, with its exquisite guildhouses and town hall. Just a couple of streets away is the iconic Manneke Pis statue. If you want a challenge, have a hunt for the equivalent female statue down a side street the other side of the square. However, to see Brussels real charms, venture down the many medieval streets that flank the impressive buildings and squares. When city life gets too much for you, head for one of the many parks in the city, or go slightly out of town to the forests that surround the capital. Brussels is a slow-burner but when it gets you in its grip it is hard to break free of its intoxication! You won't come home from Brussels without having tasted some of their world-famous handmade chocolate. Flights to Brussels operate daily with Aer Lingus. 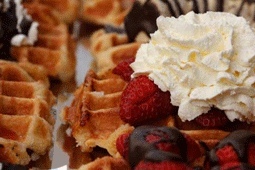 Brussels is the secret food capital of Europe. It ranks in the top three countries in Europe for the most Michelin starred restaurants per capita. • Bonsoir Clara - Rue Antoine Dansart 22, 1000 Brussels - near the trendy Pl St Gery area. Metro: de Bourse. • Fin de Siecle Rue des Chartreux, 10, 1000 Brussels - near the trendy Pl St Gery area. Metro: de Bourse. Belgium is the home of a dizzying array of different types of beer. Every bar you go into in Brussels will have about 20 beers in house and many stock in excess of this. Hang out with the trendy Belgians and ex-pats in Pl St Gery in the centre, or for something more understated, go to Pl Chatelin. • A la Morte Subite, Rue Montagne-aux-Herbes Potagères 7, 1000 Brussels. Metro: Gare Central. No trip to Brussels is complete without a visit here. The service is part of the experience! • Delirium Café, Impasse de la Fidelite, 4a, 1000 Brussels. Metro: de Broukere. Over 2,000 beers in stock – beer heaven. • Mappa Mundo Rue du Pont de la Carpe 2-6, 1000 Brussels. Mojito and Caiparina heaven. • A la Becasse, Rue Tabora 11, 1000 Brussels. For the local gueze (fermented from bacteria in the air) beer. Brussels is firmly placed on the map of young up-and-coming designers. For the fashion conscious amongst you, check out Rue Dansaert. If you fancy a day trip, Antwerp offers excellent designer shopping as well as more diamonds than you can imagine! If you would like to check out the latest trends from the established fashion houses, go to Boulevard de Waterloo. Just try not to break the bank. If your bank balance lends itself more to high-street shops, visit Rue Neuve with its department store INNO, and shopping centre City 2. Go to Rue de Bailli off Avenue Louise to mingle with the locals snapping up bargains in the local boutiques. Should you be looking for something for your home, visit the antique shops around the Sablon area. More contemporary homeware shops can be found in the nearby Rue de Blaes and Rue Haute. Should you be in the mood for a bargain, check out the flea market on Place du Jeu de Balle on Sunday mornings. You cannot leave Brussels without a box or five of the amazing chocolates. The award winning Pierre Marcolini is at Pl Sablon on Rue des Minimes. 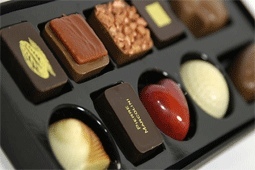 Godiva and Neuhaus have stores nearby too. If you would like to share some beers with your friends back home, or buy some to remind you for your trip, go to Beer Mania on the Chaussee de Wavre 174-176 where beer aficionado will guide you through the maze. It’s also possible to sample beers here at the bar in the back. For kids, check out Grasshopper on Rue Marché aux Herbes 39-43, 1000 Brussels for toys. For perfumes and cosmetics at tax-free prices, go to any of the Ici Paris XL shops located in many areas of the city. Landmark - The Grande Place, with the Hotel de Ville. Museum - Belgian Comic Strip Centre, Centre Belge de la Bande Dessinée. Church - The Cathedral of St Michael and St Gudula. Fall in love – with the quirkiness of the Belgians. 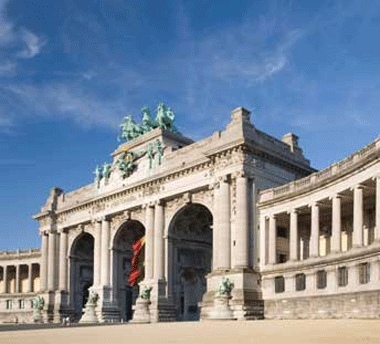 Gardens – Parc de Bruxelles, Parc du Cinquantenaire, The Royal Gardens in Laeken. Live music - L’Ancienne Belgique. Have a drink in a puppet theatre, complete with live puppet shows - The Toon bar, Petite Rue des Bouchers. Festival - the annual jazz marathon is held in the capital every May. Brussels' Airport is located 13 km northeast of the city. Trains run 3 times an hour to the city's three main train stations - Gare Centrale, Gare du Nord and Gare du Midi. 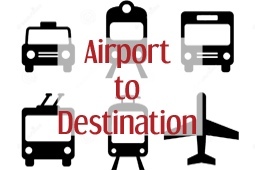 There are also taxis at the airport to take you to the city. Ryanair fly into Brussels South Charleroi Airport which is located 46 km from Brussels. More than 20 times per day in both directions, a transfer service by coach is scheduled between Brussels South Charleroi and Brussels Midi Railway station. To provide you with the best service, flight times may be changed in the event that flights are delayed or are ahead of schedule. The coach departs outside the airport close to the carpark. To get from the city back to Charleroi airport the coach departure point from Brussels is located between rue de France and rue de l’Instruction –kindly follow exit “Thalys” to the Midi Railway station. Tickets are sold inside the coach.